The “infant dedication” service is a new practice that has evolved within some churches of Christ in recent years. 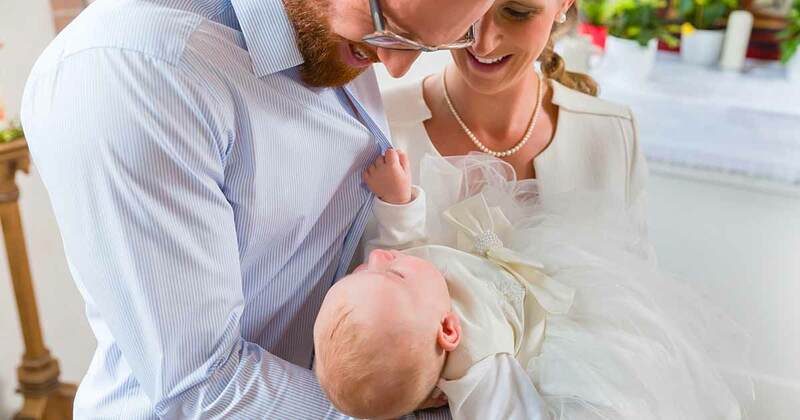 Apparently it is becoming increasingly popular, as a search-engine check of “Baby Dedication—Church of Christ” on the world wide web will reveal. Is this practice merely an innocent expediency? Many respectable brethren believe that this exercise reflects a very unhealthy trend in the Lord’s church. Those who promote infant baptism have long contended for what is called the “covenant” position in defense of their doctrine. The argument has been developed something like this. God made a covenant with Abraham relative to the patriarch’s “seed.” That covenant was formalized by means of the rite of circumcision. Circumcision was an outward ceremony that provided visualization and meaning for the original agreement. Extrapolating from that foundation, the old theologians appealed to Paul’s statement in Colossians 2:11, where a limited analogy is drawn between circumcision and baptism (though they missed the point of Paul’s argument). From that faulty premise, the pedobaptists reasoned that the baptism of babies functioned as a New Testament seal of dedication. Even though there was no command or precedent for such a practice in the New Testament, they felt that the rite nonetheless served a practical purpose, and, at the very least, was a legitimate expediency. Defenders of infant baptism suggest that the ritual reflects a solemn, symbolic act on the part of the parents “to bring up their children in the nurture and admonition of the Lord” (McClintock & Strong 1896, 646). This is precisely the design of the modern “child dedication” ceremony, as its advocates acknowledge. “Many Baptistic churches also allow the practice of baby dedication. It would appear that this rite substitutes for baptism of the children of believers. Why? Because believers instinctively know that they need to present their children to God. Like the altar call this is a human substitute for divinely instituted covenant signs and seals of baptism and the Lord’s Supper. Baptism is the sign of entrance or initiation into the visible Covenant assembly (church). Baby dedication fulfills this function” (Clark, “A Contemporary Reformed Defense of Infant Baptism”). Careful students of the New Testament, of course, oppose infant baptism, acknowledging that immersion in water is “for the forgiveness of sins” (Acts 2:38; cf. 22:16; 1 Pet. 3:21), and, since infants have no sin, they have no need of baptism. Be that as it may, some are borrowing the “covenant and formal-dedication” argument from this sectarian background (perhaps unaware of the roots). They have, therefore, on this “covenant” basis incorporated “infant dedication” services into church programs. One “covenant” defense for infant dedication is developed in this way. God is a covenant God, and he expects us to be covenant people. As a part of our “family” covenant with the Lord, we ought to dedicate our children to a relationship with God. It is very odd that these services are often quite selective. One “dedication” service for a California congregation requested that the parents of all babies, born in 2001 bring their infants for this ceremony on a particular Sunday. One cannot but wonder if those born in 2002 are yet too young to appreciate the ritual, or if those born prior to 2001 are beyond the “statute of dedication limitation” already! The very substance of this “covenant” argument, it would appear, reflects a misunderstanding of the “covenant” concept, as set forth in the Scriptures. Here are some facts to be considered before we embark on a covenant-making frenzy. First, the Bible speaks of social and political covenants between people and nations (cf. Gen. 21:27; 31:44-46; Josh. 9:6-16). Human covenants are bilateral, i.e., both parties appoint, and mutually agree upon, the terms. It represents a give-and-take proposition. Another type of covenant, however, was unilateral. In this format, a superior party made a covenant with an inferior. Because of the unequal relationship, the superior party exclusively set the conditions. With reference to the spiritual covenants of the Scriptures, God himself initiated them, and he set the terms (see Bauer 2000, 228). Then consider this. The Old Testament prophets foretold the coming era when God would offer a new covenant to humanity (Jer. 31:31ff; cf. Heb. 8:6ff; 9:15-17), which would be implemented by the shedding of Christ’s blood (Mt. 26:28). Though this new covenant is binding universally, most men refuse to submit to it. When one becomes a Christian, he accepts the conditions of the covenant, the responsibilities imposed, and participates in the associated blessings. In terms of our present discussion, this means that every parent, upon becoming a Christian, automatically assumes the sacred obligation of rearing his children in the nurture and admonition of the Lord (Eph. 6:1ff). He has a God-given covenant responsibility to raise his children right when he emerges from the water of baptism! Here, then, is a question for sober consideration. Does the Christian need to continuously “make covenants” with God, buttressed with formal ceremonialism, in order to remind himself to fulfill that which he has pledged to do already? Must he initiate formal covenants relative to a variety of additional personal responsibilities that fall to him? Should we make covenants, incorporating such into our church services, that we will go on a diet (if necessary), get more exercise, take better care of our lawns, be more considerate to our mates, etc.? Such a routine would appear to be symptomatic of a serious misunderstanding of the nature of the Christian system. May we not, each day, dedicate ourselves to doing the best of which we are capable in Heaven’s service? Will not the “eternal covenant” (Heb. 13:20), into which we have entered already, be sufficient to facilitate the accomplishment of our goals, so that we do not need to invent artificial ceremonies to implement our responsibilities to the Creator? Then there is this point to be made. From the very nature of the case, one person cannot “dedicate” another individual to the Lord—be it infant or adult. Each individual must personally dedicate himself to God’s service. The church might as well have a special service wherein Christians, who happen to be married to non-Christians, will “dedicate” their mates to the Lord, i.e., they will formally pledge to God that they will attempt to convert their spouses. Might a congregation propose a “neighbor-dedication” service—in which the Christian “dedicates” his neighbors to the Lord, i.e., with a view to converting them? The truth is, if conscientious people—be they husbands, wives, brothers or sisters—would dedicate themselves to serving God passionately, contrived rituals would be wholly unnecessary. But Is There Biblical Precedent? Some allege, however, that there is biblical precedent for a “proxy” dedication to God. Let us consider two such proposed cases. Occasionally the incident of Hannah, mother of Samuel, is appealed to as a biblical precedent for a parent’s formal “dedication” of his or her offspring to the Lord. But that case was quite unique. Hannah had been barren (1 Sam. 1:5), yet she desperately wanted a child. She prayed fervently to Jehovah for a son, vowing that if she were so blessed, she would “give” the child into Jehovah’s service (v. 11; cf. Ex. 22:29). In response to her petition, Samuel was born. As soon as he was weaned (at two to three years of age), she took the child to Shiloh, where Eli was serving as God’s priest, and there she left him (v. 3). Afterward, Hannah saw her son only yearly, at the time of the annual sacrifice (2:18-19). The lad thus grew up, apart from his mother, in the service of the tabernacle. This hardly constitutes a precedent for Christian mothers. Another argument employed in defense of baby dedication has to do with the presentation of Jesus in the temple when he was an infant (cf. Lk. 2:22ff). An appeal to this situation reveals a woeful lack of knowledge related to the historical background of the text. Under Old Testament law, a woman was considered ceremonially “unclean” for forty days after the birth of a son (Lev. 12:1-4). For those who were not Levites (which Jesus was not), a “redemption” fee was to be paid, according to the Mosaic law (cf. Num. 3:11ff). In this instance, Joseph and Mary were fulfilling the requirements of that law (Lk. 2:22, 27). That this incident provides no authoritative example for Christians today, should be an elementary truth. But here is an interesting question for contemplation. What if, during an “infant-dedication” ceremony, the elders or ministers or parents should decide to add a few drops of water to the child’s head, in conjunction with the ceremony? Suppose it was clearly stated that this was not to be construed as an indication of the removal of sin (of which there is none)— but that the rite merely symbolizes the purity of the baby, and the consecrated life aspired for the child in his mature years. Would this seemingly minor supplementation significantly alter what is being done already? When is the line crossed from a mere expediency to an outright innovation? That the practice of “infant dedication” is new to churches of Christ will hardly be disputed. It is not inappropriate to inquire, therefore: “Whence the change?” Allow me to offer some thoughts. Some folks are frustrated with the lack of rapid and sustained growth in our churches. The low-interest level among some of our people is similarly distressing. Additionally, there is a high fall-away ratio. Accordingly, brethren sometimes “go on the prowl” in search of something new by which to stimulate and maintain enthusiasm within the family of God. They mean well in most instances; but they may be prone to misdirected innovations. Add to this the fact that many today (even in the church) are caught up with the spirit of pragmatism. “If it works, do it!”—is the motto. We have become so “result” oriented, that, too often, the simple biblical pattern is given little consideration. Others, with a veneered biblical foundation, are easily caught up by the suggestions of influential church leaders in whom they have confidence. Sincere people feel that good men would not lead them astray. Thus, with only a superficial knowledge of the Scriptures, and minimal analytical skills, these good folks are unable to assess situations, thus determining the “right” or “wrong” of a practice. The truly frustrating thing is that some preachers appear not to know better either. Surely it is time for those who are genuinely interested in the restoration of first-century Christianity to cease their “flirtations” with the sectarian, sensational mentality. We are capable of implementing the Lord’s will in a humble fashion, without marching to the tune of every denominational “program” designed to artificially generate enthusiasm in spiritual matters. Bauer, Walter, Frederick W. Danker, William F. Arndt, and F. Wilbur Gingrich. 2000. Greek-English Lexicon. Chicago, IL: University of Chicago. Clark, R. Scott. “A Contemporary Reformed Defense of Infant Baptism.” rscottclark.org. 3 Sep 2012. Web. 18 Apr 2013. McClintock, John & James Strong. 1896. Cyclopedia of Biblical, Ecclesiastical, & Theological Literature. Vol. I. New York, NY: Harper and Brothers.